An immigrant mother and her daughter finally explore the things they had left unsaid. Born in the UK to a Chinese mother whose parents were targeted by the state during Mao’s Cultural Revolution, Jennifer Zheng grew up uncertain about her own cultural identity. In her BAFTA-nominated short animation Tough, Zhang brings her childhood questions to her mother in a first conversation between the two as adults, trying to find clues to her own identity in her mother’s story. Learning that from age 11 her mother thought her own parents were bad and so she didn’t listen to them, Zheng turns to wondering whether she disappointed her parents by adopting the culture around her in the UK and not learning Chinese. 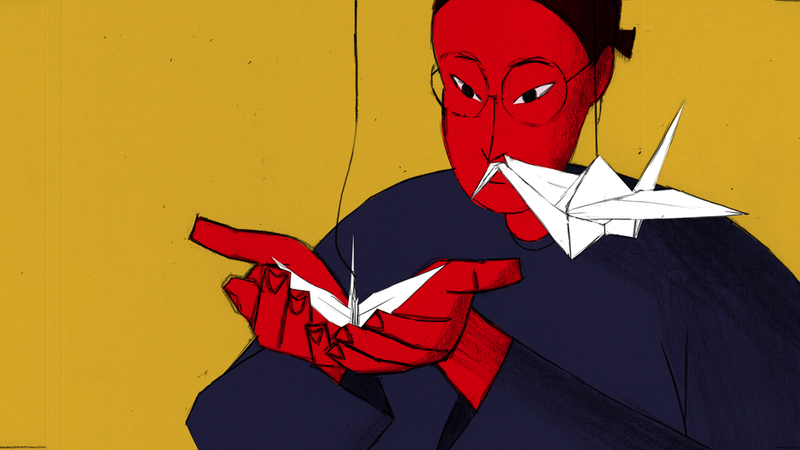 Evocatively animated and deftly scored, the film is both personal and universal in its appeal, speaking to the unique contours of Zheng’s relationship with her mother and the wider theme of the drift of generations, particularly among immigrant families. This entry was posted on February 11, 2018 by Vox Populi in Art and Cinema, Social Justice and tagged animation, Chinese immigration, cultural revolution, immigrants, Jennifer Zheng, K. Preston Merkley, Tough.